The Black Labrador Retriever has a very smooth and shiny coat of very short black fur. Historically they’ve been the more preferred color of Labrador. In the late 1800s and early 1900s, Yellow Labradors and Chocolate Labradors were mostly undesirable and culled as a result. Also, the gene responsible for making a Labrador black is the more dominant of the coat color genes. This combined with the regular culling of the other colors soon brought black Labradors to be by far the most common color seen. Are You The Proud Owner Of a Black Lab? The UK Kennel Club Labrador Breed Standard states for the Black Labrador Retriever they should be ‘wholly black’. So although some black Labradors are born with white patches or even (very rarely) a combination of colors, these dogs are disqualified from being shown in the ring. The owner of a Black Labrador Retriever that doesn’t meet the standard is also encouraged to neuter or spay their dog to prevent breeding. This helps in the preservation and future of the breed standard, protecting it from being diluted by unwanted genes. The Labradors ancestor, the St Johns Dog, was mostly black and was a highly trainable, hard-working and loyal animal. So in the labs early history, everybody desired a black and other colors were culled. 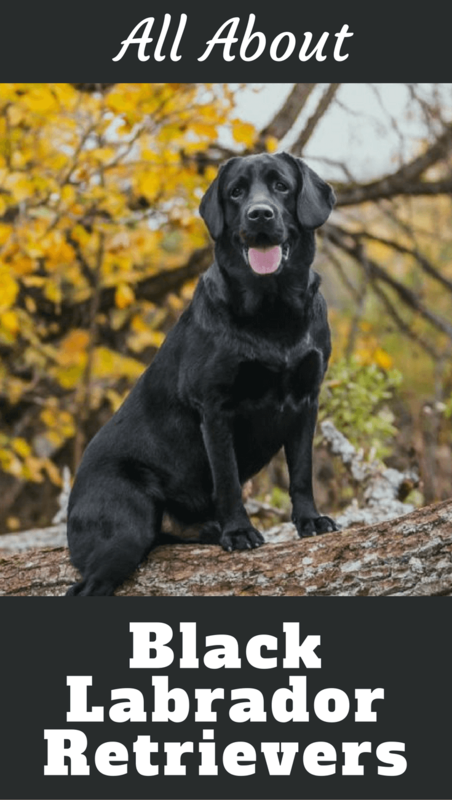 Due to a long history and many generations of Black Labradors being selectively bred for their working genes, they have a natural drive and temperament for hunting pursuits in their genes. 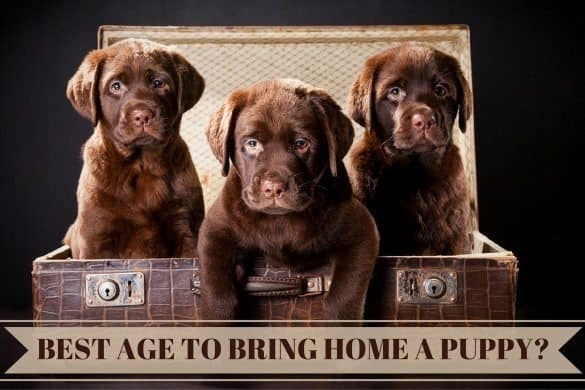 Yellow and especially Chocolate Labs have been mainly bred for their appearance and to closely match the standard for show. They have not been selectively bred for working. So their gene pool as a whole isn’t as strong in this respect as the blacks. Finally, a black dog blends into grasses and woodland better than a bright yellow dog and so is far less likely seen by the hunters prey, scaring it away. I should say now though that a Black Labrador being more skilled and trainable than the other colors is basically a myth. As the popularity of yellow and chocolate Labradors has grown, they’ve moved into all areas of work and competition. They have competed against and worked with blacks in all disciplines and have proven beyond doubt they can match the black labs in every way. These other colors have gained popularity over time and yellows and chocolates are widely seen throughout the world, as family pets, working dogs and in the show ring. 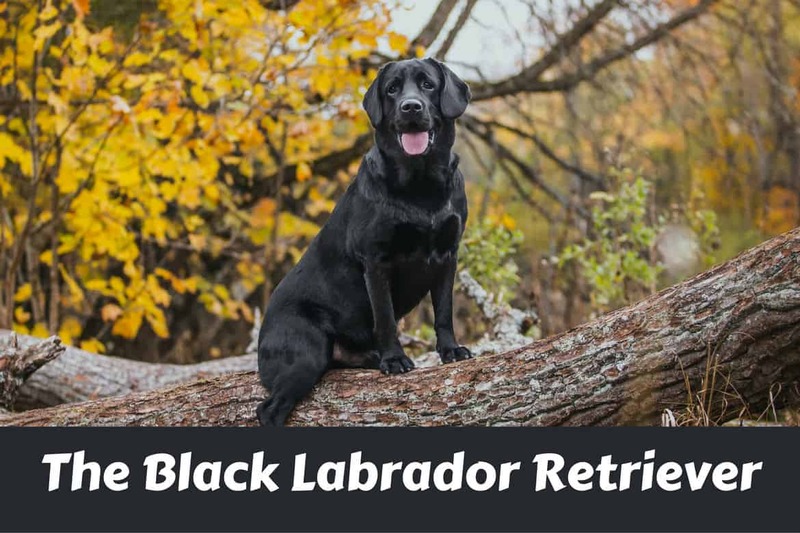 However, regardless of the skills of other colors, the Black Labrador definitely remains the favorite of the hunting fraternity and is by far the color most often seen with hunters out in the field. We would love to hear any stories of you and your pet. Perhaps you have something to say on why they’re your favorite color? Or any differences you think exist between the black lab and labs of other colors? Digging is very common and very normal for many dog breeds and certainly including Labs. Try to work your Lab more, exercise a little more and add a couple of extra short, sharp training sessions of just 3 or so minutes into his/her day. 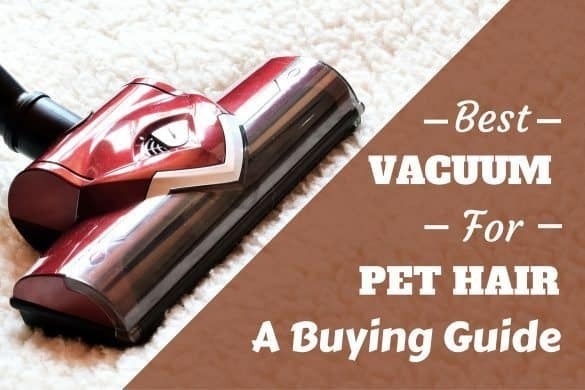 Also leave a few toys in the yard that are designed to occupy your dogs mind, like a stuffed kong toy or similar to provide mental stimulation. These actions will increase the attention your lab receives as well stave off boredom. Try not to give your Lab any attention when they are digging as dogs crave attention, ANY attention, good or bad. So if you rush over, scold him, make a fuss and then fill the hole back in, you’ve just created a fun game. So if you catch your lab digging, calmly take them away from the spot and make no fuss or noise at all. And don’t let your Lab see you fill the hole back in, do it out of their sight. 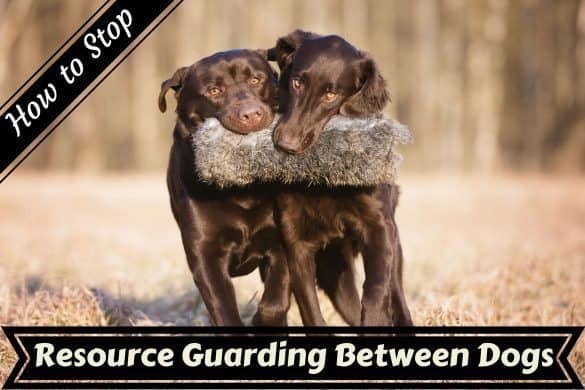 It’s also a good idea to make sure you’re always outside with your lab to catch them in the act and divert their attention into a game of tug or fetch when they start digging. Prevention is half the battle as each time your lab gets away with digging, the behavior rewards itself and a habit that will be hard to break can be formed. You mention it’s always near underground pipes…is it always the same spot? If so, perhaps try to limit your labs access to that one spot with an upturned cage or some small wire fencing or something until the habit is broken. I am having a problem with my black lab puppy name Bruce Banner and the question I have is how do you get them out the chewing stage? My one yr old black lab moonbeam has a sore ear she keeps digging it & reopening it. the vet is at a loss we have done medicine cone & once healed she keeps digging it.. no ear mites no infected ears & only the right ear is this common ? With Labradors, as well as other ‘drop eared’ breeds where the ear hangs low, inner ear problems are quite common yes. As the ear hangs down it effectively closes the ear, there isn’t much air flow and the inner ear becomes a moist, warm and dark environment that’s ideal for fungal and bacterial infections to take hold and thrive. Inner ear problems are high on the list of complaints with a breed such as labs and my Monty has had the odd problem with this himself during his life! The only advice I can really give is you need to try and keep Moonbeams ears clean and dry. 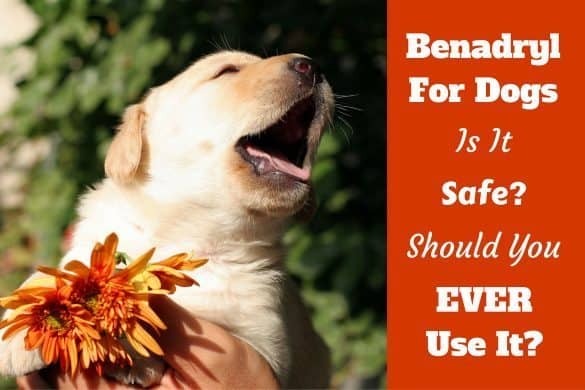 Google about cleaning your Labs inner ear, and if he ever goes swimming or out in the rain, you should try to dry his ears and inner ear when you get back home as the moisture can remain a long time and this causes problems. Does he swim a lot? Anyway, with most medical problems, I’m afraid to say I am not a qualified veterinarian and so it would be irresponsible of me to offer medical advice, because if I am wrong it could cause more harm than good. Neither you, me or poor Moonbeam wants that! So I can only advise you do as you have done and are doing…seek the advice of your vet. If your current vet doesn’t seem able to get to the root of the problem, perhaps ask a second vet for another opinion, or ask if you could possibly be referred to a specialist? Although vets are very good all rounders, there are still some vets who have specialist knowledge of particular areas of care so it’s worth asking. My lab Sofue has the same problem. We discovered a product calmly Zymax…with or without hydrocortisone. I put one squirt in her ear Daly and massage the lon gear canal and the problem is under control. In fact she love having me do it….so it’s a nice bonding time for us. My five year old rescue black lab usually loves her daily walks and swim but over the last few weeks has been in discomfort with her front legs . We hv put her on joint supplements and she settles for a short while and then is affected again . Any advice please she is not overweight and usually happy and content. Any change in mobility or activity levels that is sustained for any amount of time or repeatedly appears means your lady should be seen by a vet. 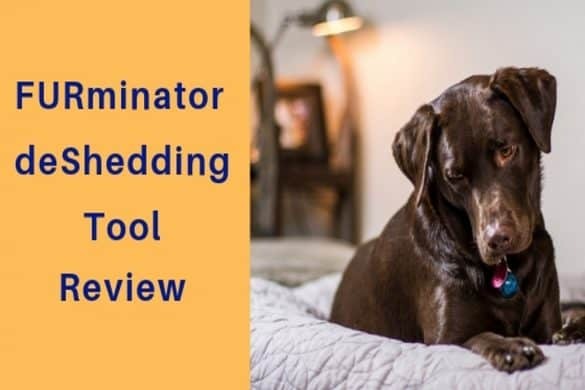 Labradors are unfortunately prone to joint issues, dysplasia, arthritis and other ailments, so it’s worth seeing a vet to see where the problem is coming from and to get the best treatment and advice for her. It may be medicine or a change of exercise routine will help, but only after a professional diagnosis and hopefully hearing it’s nothing too serious can you be sure. I’ve adopted two black labs from a shelter, they have been the most affectionate, and fun dogs I have ever owned. I recommend the breed to everyone I meet looking for a dog. I just picked one up at the shelter and she is so great. Only 7 months. Hi, my husband and I rescued a black lab, she was about eight or nine weeks old and since we’ve had her she has been just bones! She is so skinny we can make out her ribs and hip bones. She is now a little over one year old and just as thin. We have taken her to two vets and they both say to feed her a little more other than that she is healthy. She is a very playful and active dog. We have tried everything we can think of. From feeding her different brands of dog food, to spreading her meals in small amounts thru out the day because it will make her very sick to give more than a cup of food at a single sitting. She drinks plenty of water she is find with that. Another thing that worries us is that she goes way more than she eats! Unfortunately it’s also uncontrollable. She needs to go about ever 4 hours or so. Please help we don’t know what else to do. I’m afraid there’s no way I could pretend to know anywhere near as much as a vet or give advice better than they can and you have seen two! You’ve done the right thing and should continue to follow their advice. I would say, choose a single high quality nutritious food and stick with it. The key there is ‘high quality’ and ‘nutritious’. Cheap foods have lots of indigestible and useless fillers that serve no purpose. A high quality food has a higher nutritional value and contains food that is more easily and readily digestible, so she will get more nutrition from less food…and produce less waste! You may have to spend more and learn a little about dog food contents to find a good one. There’s lots of info out there to be found with a quick search in google though. Changing foods can cause stomach upset and lead to diarrhea, it’s very common. So really, stick to one type. And yes, feeding more should do the trick. If calories in are greater than energy spent, she should gain weight. Do keep in mind though that puppies will go through many bodily changes as they grow. She will reach full height at about 12 to 18 months old, but continue to fill out and build muscle until 2.5 to 3 years old. She still has a lot of growing to do. If she really is thin and you’re very concerned, go back to your vet. Explain your concerns. Perhaps pay for a more thorough examination and blood tests. recently with a new vet it went undiagnosed. But my new vet recognized it as inflammatory bowel disease. We had issues with Maya, our now 9 month black lab. She wasn’t eating much, going to the bathroom so much. We figured out she has anxiety. Since we made changes to her routine and she is comfortable and knows we come home too her (she was a rescue puppy) she eats, pees, poops and plays great. Has he had the door close on him at all? I’ve read of a dog before that was scared of doors after it shut on him and hurt his body, he would be very reluctant to walk through, would pluck up the courage and then sprint. Is he scared of other doors also? Anyway, try desensitizing him if he is indeed scared of the door….though this could be difficult if it’s very cold as your home is going to freeze! You should try putting him on leash and repeatedly walking in and out of the door. Be calm and assertive yourself, making no fuss of the door or what you are doing. If you project any kind of feelings about the door, or what you are doing is special in any way, it can make him think there is indeed something to worry about. So just try walking in and out repeatedly, as if nothing is going on. If he resist, just gently encourage him, perhaps use a food treat to entice him through and praise lots on the other side. After many repetitions over days (maybe weeks) he will have passed through so much it will become a non-event once more. I am an Englishman living in Finland with two labs, one yellow (Lilly 10 years) & one black (Laku 4 years). Laku (liquorice in Finnish) has a Swedish mother and Canadian father). He is a typical labrador in temprement, energy and intelligence however his coat is slightly longer than other labs I’ve seen and he does have a distinctive white “flash” on his chest. Are these characteristics from his St John’s Water Dog ancestry? I notice that the UK breed standard states he should be completely black with no white. I find this confusing as you state that the standard is to protect their hertitage but I consider Laku to be more of the original Labrador than most because he displays the (slightly) longer hair and white or the early labs. I would be grateful to hear your thoughts and comments on this topic. Laku is a wonderful dog and I personally believe he is a shining example of his breed. I would love to send a photo of him but this forum does not appear to support that. There is a ‘long hair gene’ in the labrador gene pool but it’s not common. I have to admit I’ve rarely if ever seen them! There is a breed called the ‘flat-coated retriever‘ and sometimes the ‘wavy-coated retriever’ that look VERY similar to the labrador and certainly share some close ancestry. Impossible to say I’m afraid. I have a year old black lab that wants to chew on mats, bushes, sticks, bones, rope play toys, etc. How can train him to not chew on his bedding, our bushes? He loves flower pots, even the clay pots. I found a puppy on the streets that seems to be a black lab. She is very black, shinny coat, long legs and is probably 3-4 months old, very playful. How can i make sure she is a lab? There is no way to know for sure without being 100% sure of her parents or genetic testing. hi. i have what i think is a black lab. but at certain times of the year she turns choc brown mixed with black. she is one and a half years old. I do have problems with her starting to dig though and would love to sort this if possible. A solution would be great. I bring her on regular walks but she is still surprising me with digging holes. looking forward to advice. thanks Paul. I have had Labs and Lab mixes for years. The first 3 years are the hardest. We have 2 1/2 acres of 6-8 foot chain link cross fenced so that the dogs (all 5 rescues) can’t bother the chickens. That leaves them at least an acre to roam in, all the time. They get access to the orchard with the chickens and pens when we are present and spend that time chasing squirrels.Labs chew, dig, unpot, drag and are never ending energizer dogs for the first 3 years of their life. Get used to it or don’t get one. The other 4 dogs are older and smaller. We have a 15 pound terrier of some sort that can keep up with the Lab and they will run 3/4 of the day, in good weather, with toys, playing keep away. They never stop as the Lab 8 month old pup is “on” all the time. She is the first I have had that chews my wonderful banana trees to the ground, however. The drip line is in shreds, what’s new?  Planted pots are dumped daily – – I have more starts and seeds. Firewood ends up at the backdoor daily. Toys are stolen from the house – – boxes are chewed along with anything that can go into her mouth, on a daily basis and the stuff she digs up is amazing. I am already tired of filling holes but knew this was coming when we decided to haul her home. Not my first rodeo. It is the price I pay for having an amazing watch dog, who doesn’t molest my feathered kids, who minds if she gets what you want her to do, who does not dominate my small dogs, who loves kids and who will one day, be the perfect dog we all want. I have a 3 almost 4 month old black lab who has the “white undesirable” patch on his chest and thats exactly why i chose him his grandmother who came from great lineage (with papers) was my 1st encounter with the breed, that being said ive been surrounded by labs(and Pits) for the last 13 years and my son since he was born. Lukas is a fabulous addition to the family and they are one of the best breeds of dog to have. I found my angel in a shelter in North Carolina.Isabelle is my best friend.A witty personalty,smart as can be and at 7 tests me every moment she can out of the corner of my eye.I was assaulted,she protects me every moment she can.Always on duty,except if there is a squirrel around!We loveeeeee our Labs!! I have a 2 1/2 year old black lab “Ranger” he is an English. I researched breeders and knew I wanted the English over the American. Friends have Americans and are hunters. We were looking for a family dog that we could put thru agility scent and tracking. He has shown to excel in all these catagories. Your description of the difference between the two is spot on! Thank you for explaining. Many people think my dog is mixed with another breed (often rottweiler) It isn’t often that you see many true English labs. Most people are familiar with the American labs. It would be dangerous for me, or anyone else, to try and help with aggression issues. Due to the gravity of such a situation, you really need to speak with a professional. Sorry I can’t help. Our English lab is two years old and suddenly acting out a lot. I know she needs lots of activity and exercise, but she wants attention 24/7. We’ve had high energy labs before, so we knew what we were in for. I know that I just need to buck up and work with her more. She’ll be great in the end, but she’s pretty trying right now. I have a 4 month old female black lab that I take to the senior center with me plus we go to training classes with a man that knows dogs well and I keep hearing from some of the older men that do or did hunt regularly in their lives that she is what they are calling and old fashioned lab. People are always approaching us saying I have a special dog one gentleman even said she’s a fine specimen. She’s a pure breed lab but she looks like she has a little bloodhound in her, She has longer ears, lots of extra skin specially her jowls, she has droopy eyes and she always has her nose to the ground and runs all over just like a hound. I am curious to know if those traits are why people are calling her a fine specimen of an old fashion black lab? She is the sweetest/funny puppy, She’s going to grow up to be a great dog, she’s very smart. Can you by chance tell me what an old fashion lab is and any info on them that you may know of? It’s not a term I’ve come across before, Tonya. Sorry. My black lab is 10 and is the best dog in the world! He is very smart yet very goofy at the same time and love’s food!! Black labs are the best dogs! 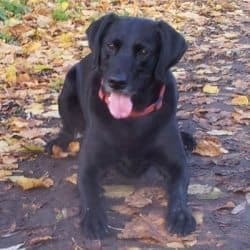 I have a Black Lab that shouldn’t be barking or other reasons and I’ve had difficulty breaking him of the habit and continuous barking at other does. I’ve given up trying as I understand a dog’s need to say “hello” as you and I do. I do need and appreciate his alerting me to the presence of other animals and people around me. I let him bark once and interrupt him before he can bark a second time with praise and thanks. This has helped him immensely. A dog must be a dog. Take her to the vet. You might get the right advice here, but you might just get the wrong advice. So with matters of health it’s best to speak to the professionals only and therefore you should ALWAYS speak to your vet. All right, I’m heading out on Emergency management detail for Downed power lines. I’m trained and certified so there are no issues. My concern is my Lab. Current temperatures is 50 F and we’ll face heavy wind and rain. Any special concerns I should have? BTW, if you see a downed line report to your utility and stay two poles away. What do I do if Ebeny my black lab is sheding after the groomer and scratching herself till she bleeds? I have 2 beautiful blacks labs who are liter mates. Molie Jo is super smart but more submissive to Butter, her brother and Jackson, my border collie/healer mix. Butter is a good 6 inches taller and is mild mannered and talks…a lot. It is not barking…it is like he is seriously talking to you. Is this common for labs? I have seen videos of huskies talking and although I don’t think he is pure bred, he is definitely dominantly lab. Is this talking common? BTW thanks for the insight about the ear. Both Mollie and Butter have seemed to be “favoring” or indicating ear issues, but I have inspected, and nothing. I will pay close attention to the dryness factor. i am constantly amazed at my mom’s black lab. The one thing that I think is the coolest is that I can point to a spot and say go here and he will do it. He has not had any formal training. Also, I have a French Bulldog that has been sick and the lab licks and takes care of it as if he was his own puppy. I just love the breed and wished I had done more research before getting my bulldog. I thought with me being in a wheelchair that the bulldog would be easier to handle, but I was wrong. The lab, even untrained, is a lot easier to handle than the bulldog. Help! My 2 1/2 year old black lab has recently started “talking” when she plays with my parents puppy or when she gets in trouble. Why is she doing this? She never has before until roughly two months ago. It is like she is back talking…How do I train her to stop? I have a beautiful 5-month old black lab, from a black mother mated with a chocolate father. The breeder told me that the mother will always produce black pups irrespective of who the sire is. Although the pup looks 100% black almost all the time, at some angles of sunlight her ears seem to have a dark chocolate sheen. Is this just an illusion or is it possible? I have no intention of either showing or breeding with her, so I’m just interested to know. I knew nothing about Labradors before reading this article. It was interesting to learn that Labradors have a dominant color gene of black. I hope this article can help us to know what breed should adopt next into our family. 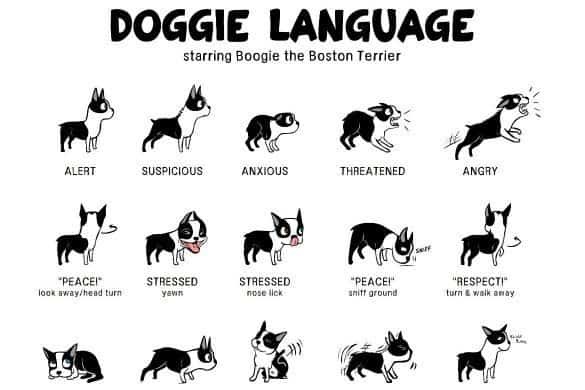 I’m facing this issue with my black lab that he is biting me too much. Every time I try coming near him to play he growls at me and then attack to give me a harsh bite. My pup is 4 months old. Is there anything I can do to reduce his anger. Also he bites the walls, furniture and clothes probably due to his teething. You need to start some serious training of your pup. This will help in anger management and he may need chew toys. We have a rescue Black Lab….I say rescue, because my son and his girlfriend witnessed this poor, beautiful boy being thrown out of a vehicle in front of them on a country road at night, and immediately opened their truck door to him jumping in….special place in hell for people like this….anyway, he is a joy and a best friend to our Beagle baby, who are both pampered indoors….he was already potty trained, and the most loving sweetheart ever ….took him right away to the vet for tests and update on all shots and microchipped. Was determined that he was 5 years old, pretty good shape just undernourished….he has some issues from what he went through, nightmares, hiding….but we are working on this with lots of love….bottom line, Black Labs are the most loyal, loving, cuddly breed and we are so lucky we found him!! I have a 6 mo lab, Marley, She knows her name but will ignore you when you call her. especially if we are out on a walk. She also drags me on walks. I use a retractable leash. Should I get her a harness instead of a collar? Thank you! I adopted a 4-year old lab. she is great with everything but has just one issue, she barks at other people outside and when were stopped anywhere in the truck.please help. I have an adult chocolate lab also but I dont remember what it was like when he was a puppy. Hello. Up until a few years ago, I went looking for a dog. I always try to save an animal from a shelter, dog pound, etc. I came across a 6 month old Black Lab. I knew immediately that he was the one for me. So I paid the nominal fee and took him home. I named him Angus. I live on a decent small farm of 20 acres. For the first few months, I kept him inside except the times when he had to do his business. In the meantime, I spent working with him, different commands, fetch and such. I would take him off on his bi-weekly walks basically showing him where the boundaries of his property was. A month or two passed and decided it was time to remove his collar. I was still doing the bi-weekly walks and he did an awesome job, being attentive and aware of myself and his surroundings. So proceeding ahead, he was now approaching his 2nd “birthday”, I figured he knew every square inch of his outside home, it was now the time for him to spend the night outside on the front porch. He wasn’t tied or fenced in. Worried, but having faith in him, I went to sleep. Awoke the next morning, opened the front door and didn’t see him. Immediately I was panic struck. (He had eaten the bowl of food and had drank some water.) I called out for him a few times and almost promptly he comes running out of the barn and barrels up the front porch steps. Apparently he was getting more acquainted with his property. Talk about relief. Anyway, the years roll by, Angus, never left his property and was the most entertaining and obedient dog I have ever known. Years later, Angus finally passed away, I figured his time was coming close, because he very seldom left the front porch and now was normally staying inside, either by the front door or at the door to my bedroom. One morning I awoke and called for him. No answer. I hopped out of bed and found him at his post, inside by the front door and he had died during the night. I was heartbroken. Angus had lived to be 19 years and around 7 months old. He was such a part of my life. basically 2 decades, he was constantly the, by my side. Later that day, I went out back and proceeded to dig a grave. It was one of the difficult tasks I had ever had to do. After the burial, I went to the shop and made a wooden headstone for him. I planted flowers and a dogwood tree for him. End of the story. I suppose to sum it up, my Angus has been the longest living dog that I had the pleasure of knowing and one of my best friends. Thank you for listening.